"Great program to consolidate safety certification, courses, journey management etc." I like the user interface and how it keeps me notified whenever i require a boost on my safety metrics. The jokes of the week did not contribute to the professionalism of the application. I would ensure that accountability is put for employees to keep everything up to date and that their courses are up to date. Ensuring that employees keep this going is the only way for the application to work consistently. It was good to use to keep tabs on safety courses, certifications, with notifications of when I have an expiry approaching. I found that it helped keep the team up to date in case a site visit or out of town visit was coming up. "User friendly easy to navigate"
Safety Sync could improve on the way third party tickets are entered as well as improving the voice over for a lot of orientations and tickets. The computer generated voice is grating after an hour or so. It would be better if they had a drag and assign feature to the courses. Easy one stop shop for most required tickets. 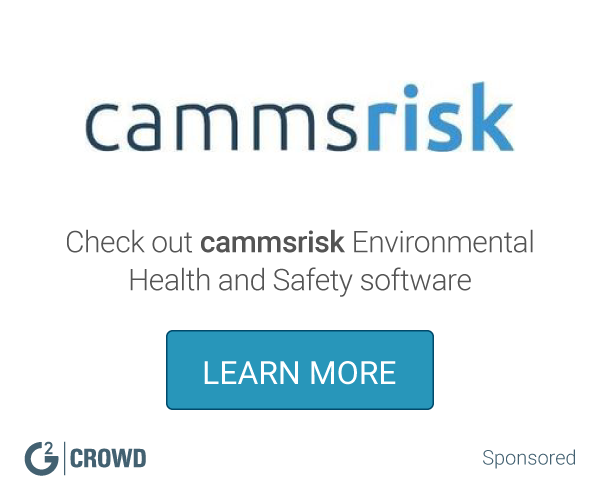 What Environmental Health and Safety solution do you use? I like that SafetySync is really user friendly. I am pretty computer literate but I generally require some training on new software. With SafetySync, I was able to get up and running in very little time and learn as I went along. My experience talking with our employees who have used it indicates they found the same thing. After I set up our employees and they received their setup emails they also went forward with little training from me. I like that our employees are able to access policies, MSDS, training, etc. from anywhere as long as they have a computer. Being able to communicate through bulletins is really convenient and I can ensure everyone gets messages. I have some employees whose 1st language is not English. This does create problems in understanding and these same employees are resistant to doing the training. While I did manage to begin using the program with a minimum of training I found that I did miss some information that was necessary to have because there really was no "formal" program set up to ensure I had all the info. Once I realized I was missing something I was able to ask for and receive the information so I could continue. Communicating with employees as well as ensuring safety training has been done. "Simple inexpensive program for a growing company "
All it takes is a quick glimpse to see the compliance of the overall company and which employees need to step it up on compliance. Showing companies that we do have a safety tracking program in place. The reward system is excellent as a motivator for employees to remain compliant, and not get complacent with our policies and procedures. Personally I like it for the seeing which of my own certificates and coming up for renewal and/or expiring. There is not anything I have come across that I dislike. Our company safety officer keeps me up to date. The biggest benefit for me, as a secondary admin, is the reports I get on the employees, and I know who is needing to renew, in a instant. Not when they get to location and realize a certificate has expired. An overall benefit as a growing company is to have an electronic safety tracking program in place for our clients as well as government compliance. There is so much that I like about SafetySync. The tracking of training and certificates is very easy and efficient. All your employee certificates are available at a click of a button. They make it super easy to schedule training when a certificate is coming due. The free training they provide is comprehensive and easy to understand. I love the option where you can customize a training course. Having access to all the applicable legislation makes it easy to find what ever you need to look up. This is a great cost effective and efficient safety management program! There is not much that I don't like. Any time I have ever had a problem the support staff are great. They answer any questions quickly and in great detail. I would try the free trial to see what you are missing out on. Certificate tracking was a problem for us. Now it is all kept in one place and it is very easy to print out the training matrix to see who is missing what, what is coming expired and what is expired. The managers also have easy access to see the current status of their employees' certificates. SafetySync has also improved our communications to our employees. You can select who gets what memo or bulletin or you can send the communication out to everyone. The best part is that SafetySync tracks who has read and acknowledged it. This has been a great way to give our employees access to all our forms even when they are on the road. This program also has an easy way to make sure all your MSDS are kept up to date. With the notifications coming directly to my portal it eliminates the time it takes to go through the table of contents checking all the dates. "Great Safety Systems Product !" the online courses, the easy access to documentation, employee tracking of training, a better company community, this product fills in the gaps in our company, its perfect, I have just become recently employed by this company as they were introducing safety sync to the staff so as for what they were using before by the sounds of it it just wasn't working. this safety system however is amazing, I am very please so far, and I look forward to the more things it has to offer, just when you think you have it all figured out, you find something on safety sync that just blows your mind. there's all these hidden tools on the system. it's very exciting. So far, there is nothing I dislike about the product. highly recommend it. easy to use. Our company can track employee records and training much more efficiently, and records are being better distributed throughout the company. People in the company are becoming more involved in our projects and are more aware of what we are doing on our projects and the progress we are making when it comes to production and safety. "An enhanced digital safety platform"
I truly appreciate the ability to use SafetySync's system as part of a highly efficient and cost effective Safety Management System. Having partnered digital forms with SafetySync, the two components work really well to create a live feed of data, the ability to process it within SafetySync and then to be able to provide summary reports, review leading indicators and other information that is required for our industry, all in real time. I honestly don't think there is anything that I dislike about SafetySync. The staff are incredible at responding to any issues that we might have and are always open to suggestions. They are constantly improving, and I look forward to helping SafetySync Beta test more components such as the Incident tracking and statistics sections. It is an excellent product and if implemented fully, it has the ability to make your Safety Program much more efficient and cost effective. Our clients now have a virtually paperless system, which is efficient and cost effective. The significant increase in use and ownership of our client's safety program has been remarkable. "SafetySync for small office use"
Nice to have everything in 1 place, safety documents, certification, and employee tracking of compliance. The mobile app is also great for people on the go a lot. If you have a hard time tracking your employees compliance, or you visit the field a lot and like having the remote access, this program and mobile app are great! Keeping all safety documents in 1 place for auditing and safety compliance. "Safety Sync gets workers involved in Safety"
Safety Sync is easy to use and allows workers to be actively involved with your safety program. We struggled with providing our work force safety alerts, bulletins and access to the most up to date versions of our polices, programs and documents. Safety Sync allows us to provide our workers online access to all the safety resources they need. The best thing about safety sync is the ability to communicate with your workforce wherever they are. When using mobile devices some functionality is lost. Our training compliance has gone way up since using safety sync. Safety Sync gives our work force the ability to monitor their own safety compliance. "SafetySync is the most comprehensive e-based safety system on the market. " Safetysync is the most integrated and comprehensive system on the market. All requests for improvements are always handled quickly and effectively. The usability is quite simple and they have improved the interface significantly since the early days of use. The biggest barrier for myself to use it to its full potential is the length of time it takes to upload. I know there is the mass upload for forms but even that takes much more time then a drag and drop similar to my electronic server system. As well, I don't like it as a "filing cabinet" because of its lack of organized structure (no ability to make subfiles). As well, the inability to separate ticket requirements by location. As many sites require very different training and certificate requirements, the ability to customize each position by location would be great for tracking compliance. SafetySync will take the headaches away from HSE management. It is a one stop show that allows remote access to all of your critical HSE documents. It is a great interface to allow all workers at your company access to the same information without providing access to internal documents or "in development" projects. Managing multiple companies allows me to streamline orientation and training process. As a remote client manager, it allows me to oversee everything while away and stay on top of my clients to ensure they are maintaining compliance. As well, it ensures that I have a location for my clients to access their most up to date version of their forms, policies, procedures, etc. "Amazing Safety Systems Management Product"
I enjoy the ease of access to various legislations, competency tracking and free training (with the option of custom course design) to help track extensive information. I often use this system to show clients procedures reviews have occurred and competencies are being tracked. The SMS bulletin system is an invaluable (and free with subscription) tool for sending alerts and being able to track when clients request records of our information sharing systems. There is simply nothing to dislike for the use of the system that we currently are set up to engage our Employees, Contractors and Owner Operators. Do the free trial and work with the team. There is simply nothing to lose in this venture. I am solving the communication barrier that is required to send critical information to our Owner Operators and Contractors in a timely fashion. This system brings update training to the forefront which allows drivers to access new training materials and updates from home or while working on the road from tablet and iPad. Safety Sync has multiple features you can utilize for the organization, everything is laid out well and easy to follow. The Training Courses are terrific and meet a ton of requirements that Clients request. Honestly can say that there is nothing I dislike with Safety Sync. Try it! You will not be disappointed. So many companies don't know where to start with Safety and this database is amazing to use! The tool is a great database to house information and ensure that when training is coming due you are notified. There are multiple benefits but mainly great for tracking purposes, training and communication. Very easy design and layout to follow, no troubles and the staff is great and gets back to you promptly. "Safety Sync has been invaluable in helping organize my safety system"
I like the ease of keeping track of employee certificates and accessing reports. I am not crazy about the incident tracking or the fact that i cannot do my statistics on the program. This program has great potential for maximizing my time and keeping me on top of things. It keeps the employees informed about what is going on regarding incidents, memos, policies, procedures, etc. so i believe it is invaluable to me. Staying on top of what employee certificates are coming up for renewal. 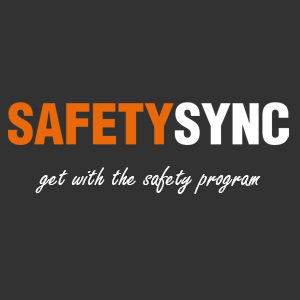 "SafetySync is an easy to use and thorough on-line health and safety sync progrm"
We keep all of our health and safety documentation in Safety Sync- safe job procedures, MSDS, training, safe work procedures, policies and forms. It is very easy as an administrator to upload all documentation and the assign required documentation and training to employee positions. Our supervisors get monthly compliance reports on all employees who report to them. As well, setting due dates on when polices and other documentation require review and when MSDS sheets expire has made it so much easier to ensure to all of documents and records are up to date. The only issues I have with SafetySync is that is not a separate sections for Safe Job Procedures and Safe Work Procedures. With the ability to track employee compliance and have deadlines on when documentation review is required has made it easier to meet the requirements of COR. "Extremely Helpful With Safety Program Management"
SafetySync is easy to use and works great with keeping employees who are away at a camp up-to-date with what's happening in the company. I like being able to get notifications on my home screen when policies, procedures, SDS sheets or certificates are coming due. The training programs that SafetySync has are so helpful, and much easier than trying to develop a course on your own or sending the worker to a third party trainer. Sometimes there are a few glitches here and there, but the IT support is pretty good about getting things fixed quickly. If you are wanting to take your safety program to the next level, I honestly feel that SafetySync is the best option. You can personalize pretty much everything to suit your company and it is very user-friendly. I think the training courses and certificate tracking for your workers alone are worth the cost. Using SafetySync for all your employees will greatly improve the safety culture of your company. With so many employees who are at different locations across the province, it was hard to make sure all the workers had the necessary training done, or were made aware of changing policies, procedures, etc. SafetySync has made our internal communication much easier. In addition, our training programs are excellent, and we know that our workers are being trained with the industry's best information. Orientations for new workers are very smooth now. "The benefits of Safety Sync"
I like the ability that I can monitor a large group of employees in many different regions all from my centrally located office. I don't like how the majority of the tickets cant be directly uploaded onto the certificate documentation section. The ability to house all of your safety related information in one easy to use and access site, is so beneficial. Safety Sync has allow me the ability to have all of my safety related programs in one site. The benefits is that it is a real time saver by only maintaining one safety site as opposite to have different site for different applications.Safety Sync has the ability to house everything from safety tickets, customer orientations, HSE and ERP manual, to our Standard operating Procedures. Currently you have to assign the work procedure to a position, you cannot assign it to a specific worker. There is not a lot that I dislike about the program, it is easy to use and has great product support. We are able to easily and efficiently determine who is trained and who is not trained. We are able to monitor our safety tickets and get workers in for training prior to their expiry. The included courses are extensive, and always updating so our workers are trained on the current standards. The addition of incident tracking, which is currently in beta testing, is going to be a huge asset to the safety program It is a huge asset to our company. Candice, thank you for taking the time to review SafetySync! We've been having quite a few discussions lately about adding the ability to allow admins to assign additional requirements to individual users. We are committing to building this but we are proceeding with caution as the interface needs to be especially tight with this feature. Many positions have hundreds of requirements and we want the interface and UX for this to be very logical and easy to update for administrators. It's also very important that we don't confuse new clients by making them think that adding requirements on an individual level is the only way to set their company up. So our thought for this is that it will likely be an opt in feature that is disabled by default. "Excellent product, exceptional support, fantastic value." I really like the whole product. Having worked in paper systems for most of safety career the functionality and efficiency which SafetySync brings just makes safety system management a completely different experience. We use SafetySync for all our clients and we've recommended it to many industry colleagues. However, as great as working with the system is, the best part has been the interaction with the developers and support personnel. Whenever we ask for a change the response is always positive and the requests are always implemented as quickly as possible. It is a great company to work with. I don't "dislike" anything about the system and I am looking forward to greater integration of mobile data. If you are currently managing a paper based system I cannot stress enough how much better your world will be when you switch to SafetySync. If you set it up properly, you will wonder why you ever waited so long to switch. Simply one of the most effective tools a safety team can have access to and you won't believe how cost effective it is. It really doesn't make any sense at all to stay with a paper based system. Efficient collection of data is allowing us to effectively validate compliance with audit requirements and the integration of mobile forms is creating a significant level of increased efficiency and cost saving through the reduction of paper consumption and the reduction of paper processing time. If you want to simplify your health and safety management and a reasonable cost, There is no other way to go. Simply the rewards program is outstanding and a big help to motivating employees with the opportunity of company swag. SafetySync is a user friendly system allow companys a turn key option to start. Some of the functions ie Job Descriptions are limited to the amount of charcters you can add. Would be nice to have more for greater detail on job descriptions. I would say that SafetySync is a great software to consider. it offers a turn key solution to all your safety needs. "Clean, Precise, Easy to Use"
I love that Safety Sync lets me monitor all workers in the company's certificates and training. Safety Sync allows us to connect with all employees at the push of a button, and it provides an online source where all workers can locate policies, procedures, MSDS, and applicable legislation in real time. Every week, Safety Sync updates our compliance report, showing me if the company has gone up or down in compliance, and which areas need the most work. A company can post all of their policies and procedures onto Safety Sync, and monitor who has read them and who hasn't. You can also mark some policies as required for certain positions. For support, all you have to do is type out a quick email with your issue, and someone will get back to you within the hour. Safety Sync has just released a chat help on their site, as well, allowing you to ask live questions, and get an immediate response. The ONLY thing I dislike about Safety Sync is that when workers complete a course in training, I don't get a notification, so I depend on them to tell me. That would be fine, if all workers communicated well with the Safety Office. If you have a large company, and you are constantly having to monitor your workers certificates and training, Safety Sync is the easiest, most efficient way to do so. We have weekly compliance reports from Safety Sync, and the support provided is immediate. I can send a question in to the support email, and I'll have a response and a solution in less than an hour. If you have tons of legislation to upgrade on a regular basis, like any company in heavy industry, Safety Sync automatically updates all the legislation for you in the region you select. If you need to communicate often with all your workers, or send out bulletins based on positions, Safety Sync allows you to send text and email bulletins quickly, and monitors who has and hasn't read your bulletins. I highly recommend Safety Sync to any Safety Administrators out there who love to be organized! We have a central location where we can ensure all certification and training is up to date for all workers, and we can see two months in advance when their tickets will expire. We can do all of our orientations and continuing education on one platform, and we can send out bulletins to specific positions within the company, without having to add 100+ emails to an email list. Safety Sync does the sorting for us. Thanks for the great review! We wanted to let you know we have added notifications for completed courses into our development schedule. You will be able to enter as many emails as you like to notify various admins or distribution groups at your company. We're hoping to offer a few options as well: emails as courses are completed or a summary email with a frequency you specify. In addition, we'll be adding this for courses coming due, certificates uploaded and certificates coming due. Keep an eye out on our blog for the announcement we make when it goes live. "The best safety software? Simple - it's SafetySync!!" We use SafetySync exclusively for all our clients. In our experience, there is no better safety software on the market. It allows us to take boxes of files and dozens of spreadsheets and turn them into a sleek, efficient, online, cost-effective and value-adding system that takes our clients businesses to the next level. In addition, SafetySync is a company that understands customer service. The support team is always willing to go above and beyond with knowledgeable answers and suggestions that make sense. The cost is so low that sometimes clients are disbelieving of its abilities! Easy to use, great support, low cost for high quality - that's SafetySync! There is nothing to dislike about the system at all. Do it! Now! Start saving yourself time, money and effort. Streamline your safety system with SafetySync...without breaking the bank. The benefits of SafetySync are numerous. The system allows us to take on more clients simply due to ease of use and system capabilities. It becomes a sales tool for our clients when they are bidding work by being able to show compliance and competency of their workers at a glance. Safety certifications no longer expire without anyone knowing. The system reminders keep all worker's training up-to-date. The list of included courses is extensive and ever-growing. Clients are blown away by the system's ability to administer the courses and track the training. "Safety Sync is an excellent tool to manage HSE programs." The thing I like most about safety sync is that they as a company are very willing to listen to new ideas and developments, we have been using the system for approx. 2.5 years and all of our ideas and or suggestions have always either been implemented or we are given a legitimate reason if it is not feasible. The system is very user friendly and all of our employees have no issues navigating our Safety Program. There is not very much that can be disliked in the system. I would like to see a comments area in the submit records area so that a little information can be input to explain what the record contains. I highly recommend Safety Sync for any company that would like to systemize their Health & Safety program, the ease of use benefits all departments and the fact the our field supervisors can access this in the field makes for better reporting which ultimately helps the program administrators keep an eye on where efforts need to be focused to improve. Safety Sync has enabled us to keep all of our HSE program in place and up to date to the point that our COR certifying audit was scored in a very high percentile with positive comments from the external auditor on the use of the Software program we use. The applicable regulations are complied with in easy to use training for all types of employees level of computer basics. When working for another company with safety sync, we have to upload information to over and over again where if we had a link to what is needed the prime company can get access to view only authorized individuals training status. Ease of managing your HSE and HR requirements of all employees and having employees get reminders to verify updates and reminders of when certificates are due. economical benefits on sending employees for training. more in house training tailored to what we are doing. "SafetySync Helps Manage our Safety Program "
There are so many things that I like about this program. I use this program daily as I was able to upload our entire safety program; from our safety manual, policies, procedure, ERP, JHA, training material to all of our employees training records. Many of our employees work outside the office and SafetySync allows them to access the above mentioned items (and much more) from anywhere, using a laptop to their smart phones. They recently have added a beta test for incident tracking, and are more then willing to listen to any suggestions on improving this test. They are continually improving their program as they strive to be the best management program out there. Their customer support team is above amazing, as they are always willing to go beyond to help with any questions, and their knowledge is impeccable. Their team provides the necessary tools to keep their clients safe and compliant. SafetySync is a user friendly program and is very cost efficient. For a small cost, you receive a great quality safety management program, great customer service, and mush more. SafetySync has become an essential part of safety program. I cannot say that I have found anything I dislike about this program. If you are unsure about SafetySync, take the time to speak with the staff, do a consultation as they are always willing to do a presentation. This is worth the time to see. - Training tracking, as now re-certifications do not go unmissed. - Communication; safety alerts, bulletins can now be sent to everyone immediately. - Standard Operation Procedures and Job Hazard Assessments are readily assessable and can be reviewed..
- Policies, Procedures, Emergency Response Plans and Disaster Plans can all be assessed, reviewed and can be printed immediately. All of these listed plus much more help with our day to day operations of our safety program. Having everything in SafetySync allows are employees ease and knowledge that the can access anything they need to do their job safety. The product has enough diversity to enable us to track all of our HSE processes within one program. The company is tremendous to work with in regards to working with us to develop the product so that it becomes even more valuable to us. Great product at a very competitive price point. HSE tracking, training and distribution. Functions well on all levels. The technical support is personable. They are continually working on improvements to the product without disrupting the system. They hear the requests of their clients implementing changes promptly. The platform is not the most intuitive, It is sometimes complicated to remember which portal to be in or where to find certain tools. Some tools have way to many options on how to access them which can make training new users a lengthier process. However it sounds like this is on the books for change as well. The technical support is great at keeping us in the loop regarding coming improvements. Jump in with two feet. Many delays come from wanting to have everything perfectly set up before releasing the tool to all staff. Put your basics in add your staff and grow the use of the tool from there. Communication and accountability have really improved and continue to improve with the use of this product. I believe it creates a better sense of community especially for our employees who work remotely, they feel part of the team. "Great product and great support! Comparatively, the best on the market!" I like the availability of training for our people online. I also appreciate the ability to update specific policies in our program during our annual review and then have workers review specifically instead of reprinting out of date manuals every year. True cost savings! The inability to upload pictures for the various policies, procedures or bulletins. "Easy to navigate and great service"
We started using Safety Sync almost 3 years ago and it has been great. The site is easy to navigate and any time we had questions about the system there was no wait time and the problems were addressed in a timely manner. Some components are tailored to larger companies and there was not a lot of wiggle room to make as many custom changes as we would have liked. Employee training tracking has become much more organized for us as a company. SafetySync is user friendly for all workers as well as administrators. It allows management to check their worker compliance which reduces time spent on running reported. SafetySync is always open for suggestions and willing to make changes to better suit our wants, needs and requirements. Would like to see more flexibility when assigned training, procedures etc. Some individual(s) have specific training they require for one of jobs but since everything is assigned by position you end up with a lot of positions. Improve our overall safety compliance and ensure our workers have the knowledge to ensure their can do their job safely. Prior to SafetySync, individuals did not know what their compliance percentage. This was causing administrators to spend a great deal of time following up to let them know they had outstanding courses, upcoming certificates due etc. Now they receive email notifications and can see what is outstanding within seconds. For field updates, we used to send out emails with updated policies, procedures etc being able to post on their SafetySync account allows individuals to go back and look through them without search 100s of emails. Across the border - its great to have the same management system in Canada and US. This allows cross-training and multiple support groups for everyone. "HSE Training matrix designed for compliance"
Safety Sync team are agile, future thinking and flexible - programs, training suit, executive reports can be tailored very specifically to meet the needs of upper management, safety audits and weekly compliance reports. Employees/field personnel respond quickly to expiring courses or training certificates - which makes the administrative part of managing over 100 employees a breeze. As an HSE Manager I want to be able to access real time data on my field personnel to ensure that everyone has their required training and some optional training. I have used Safety Sync for modified work projects very successfully with positive outcome for worker and company. There isn't one single dislike that I can think of! If you are looking for a product that satisfies field level utilization, HSE & Compliance requirements and meeting the needs of Management for real time compliance reporting - Safety Sync is that service and product. Managing an ever changing workforce is a challenge, sometimes field personnel come back and I can retrieve all their data from the archives. New employees can be trained and monitored with orientations, client specific training requirements and offering young workers additional resources for relevant training. Real Time reports are generated quickly by management, supervisors and HSE team - this has saved us in the field when safety tickets are needing to be presented. The compliance percentages by worker is another benefit to encouraging participation in training - it's get's a little competitive because everyone wants to see that bar at 100% and green. "This product and tool have been well recieved by all employees at all levels." Safety Sync is very user friendly. Excellent for real time communications. Great for monitoring compliance readings, training and certifications. Not able to pull needed reports...but this fix is in the works. Give it a try it may be what you are looking for. Managing our Heath and Safety program with company wide compliance. I like the idea of being able to scan a QR code and automatically have an employees credentials in the palm of your hand! If you want to view a blank document from SafetySync it automatically downloads it to your computer. It's helping our company become more consistent. I think a great tool to use if your company works in multiple locations, It helps layout everything a company is doing safety wise no matter where. "Committed User for Six Months"
I love the fact that the whole program is manageable at my fingertips and I can focus more on 'people-based-safety', the human interactions that are often negated by safety administration. I am hoping that the forms will be more 'real-time'. Why have you not done it yet? We are enjoying the data tracking. "Get Organized - Stay Organized - Manage Worker Safety !" Easy to use. Helps keep manage worker safety all in one spot a lot less paper! Customer service is local and awesome! Training videos streaming downloads occasionally interrupted & susceptible to busy internet traffic. It's very easy to get a lot of value out of this product, for very little time invested. If you need to manage worker's safety - use it! The staff are friendly, helpful and willing to do anything to help you out. The online orientation is hard to add too. That I have become the sole person for running SafetySync and could not have done it without the huge help from James and Evan. We have solved so many minor hiccups with using this service. "We use SafetySync to maintain training for installers of our hardware." The ability to add courses and accreditation testing as needed using standard YouTube video and/or PowerPoint. I would like to see training videos on how to use the site. Keep track of all certificates and training. Be notified when retraining is due. Add training to large or small groups of people based on their role. We keep all installers certified to work on our systems and are able to send clients to trained individuals instead of a shop with a paper manual. "This site has helped our company in many ways related to Safety"
The best thing about safety sync is the many different applications that can be used on the site from training to tracking to rewards. I also like the great quick customer service they provide. The only thing that they could improve on is making so you can narrow down training courses and certificate requirements to specific individuals rather than by position. The biggest benefits have been the file management and the ease of training. The rewards portion has been a big hit with our personnel. "Quick and easy method for company wide compliance"
great universal training system for small businesses. Company wide communication through this program is easy to manage and track. "Great tool to manage competency"
The portal tracks our employees' competency very well, easy to use, and streamlined database. We solved competency tracking for our employees. It is also very useful for our employees to submit safety reports. "We use SafetySync to manage our HSE program"
Shop around. There are many solutions available. * We monitor all SafetySync reviews to prevent fraudulent reviews and keep review quality high. We do not post reviews by company employees or direct competitors. Validated reviews require the user to submit a screenshot of the product containing their user ID, in order to verify a user is an actual user of the product. Hi there! Are you looking to implement a solution like SafetySync?